The first contract fell when the buyers couldnt get financing. 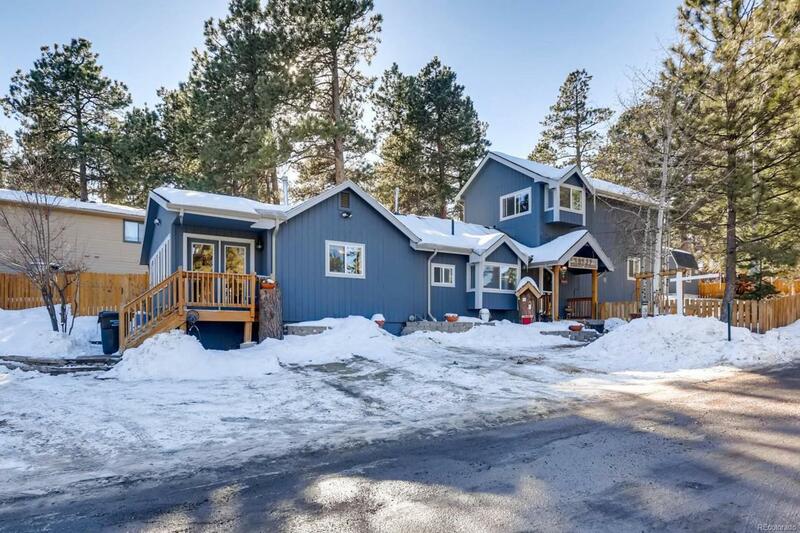 Great location in Evergreen with public water and public sewer just minutes from everyday conveniences. Welcome inside to rustic wide plank flooring complimented by the wrought iron railing at the stairs. Large kitchen boasts 42 upper cabinets, solid surface countertops and stainless steel appliances including smooth top range, hood and dishwasher. Flex room off the kitchen can be an exercise area or space for homework or crafts. Imagine relaxing in the generously sized family room and enjoying the warmth of the pellet stove. Main floor bedrooms utilize an updated full hall bath with beautiful tile details. The only upstairs bedroom is the master hosting new laminate floors and a remodeled five piece bath, affording privacy and solitude. Sitting on almost 1/3 of an acre with new privacy fence, storage shed and plenty of off street parking. Windows, water heater and furnace have been replaced in the past.